Standing Room: There are $27.00 tickets available at the Box Office only, when the performance is sold out. They are sold in advance or same day, if available. There are only 28 standing room positions. 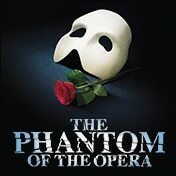 Digital Lottery: On the day of the performance patrons are invited to enter the Phantom Broadway Lottery from 7am - 9pm for both matinee and evening performances. Winners may purchase up to 2 tickets at $40 each. Seats may not be located next to one another and locations may be partial view.